Google is building a smart speaker to take on Amazon's surprise hit, the Echo. The Google Home, announced Wednesday, isn't ready for demos, doesn't have a price, and won't be available until later this year. But Google released enough details to look at how the two smart speakers compare. The Echo's secret sauce is always-listening microphones. It can hear you say the trigger word "Alexa" amazingly well from across a room. The Home is also always listening for its trigger phrases "OK Google" and "Hey Google." We'll have to see how the far-field microphone and speaker quality stack up. The Echo is a tall black cylinder with a blue ring on top that lights up when it's working. The smaller Echo Dot hacks off most of that column and looks like a hockey puck. Though not a particularly elegant design, it blends in. The Home resembles an air freshener. It is shorter, rounder and cuter than the Echo, with a white top and interchangeable base covers if you want fun colors. Four dots light up on top when it's working. Amazon uses Alexa, a voice assistant it built just for the Echo. It hired experts and bought a voice recognition company, but the technology is still relatively new and limited. Alexa handles its core tasks extremely well, but is catching up when it comes to search, translation and managing personal commands like scheduling and messaging. Google has vastly more experience with voice search, personalized tasks, machine learning and natural language processing. 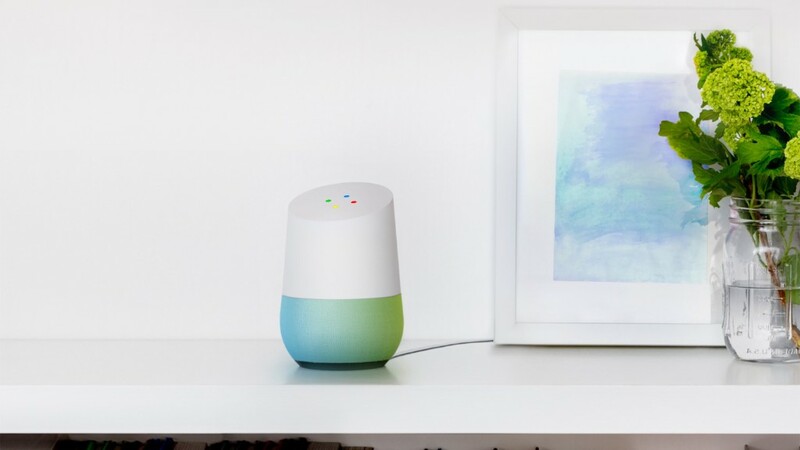 It is taking existing Google Now and OK Google voice-assistant technology, customizing it for the speaker and rebranding it as "the Google assistant." It can already reply in conversational sentences, learn based on habits and data, and handle many of Home's example tasks. And the Home will benefit greatly from Google's existing ability to understand followup questions. 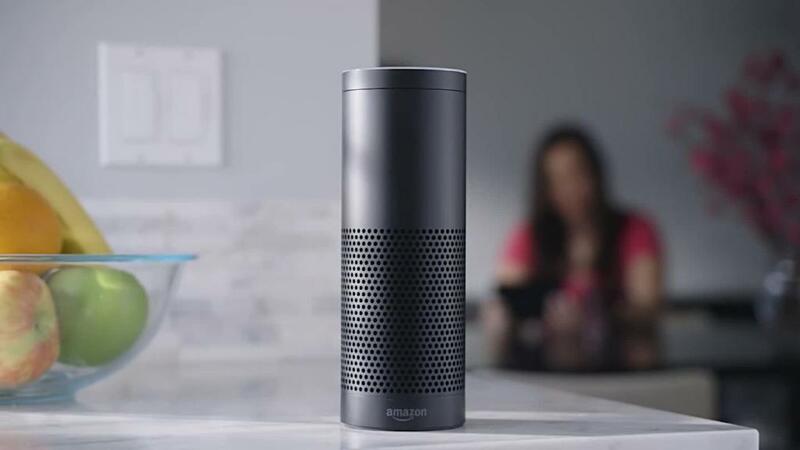 Like the Echo, Home will play music, set alarms and timers, add items to shopping lists, control smart home devices, and read the weather and news. Google said the Home will work with streaming music services but didn't specify which ones. The Home will be able to do some things the Echo can't. It can control a TV through a Google Chromecast, manage your Google calendar, send a text, make a reservation, and field more complicated search questions. It can synch with other speakers in your house through Google Cast, a trick Echo lacks. The list of things Echo can do that Home can't (at least for now) is long. Developers have created nearly 1,000 "skills" for the Echo that let you order an Uber or pizza, hear your account balance, and control a range of smart devices. Google isn't opening up the Home to third-party developers just yet. Echo has a head start, an enthusiastic fan base, "skills," and the power of Amazon's vast distribution system. Google has more experience with voice recognition and personalization, a longer history of making hardware, and (if you use Google products) access to your information from emails, calendars and past searches. May the smartest speaker win.